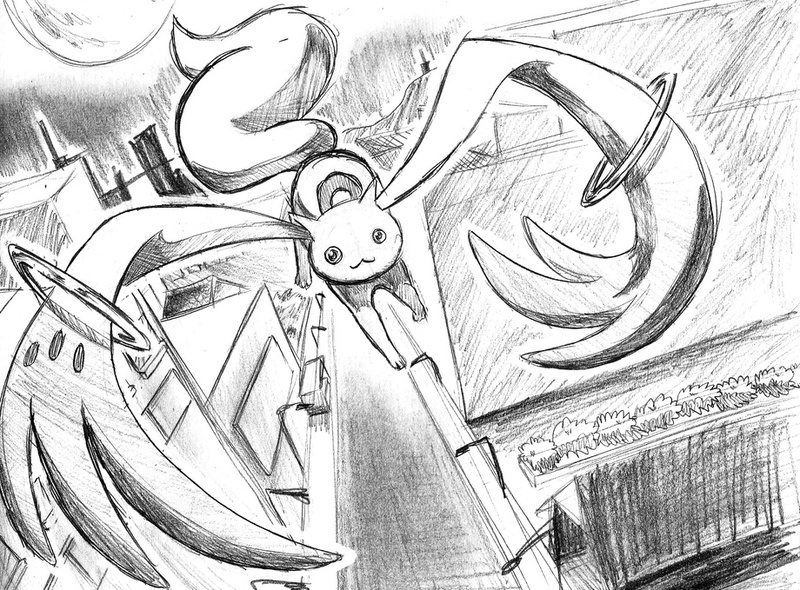 contrary to what the tittle says, it's actually just kyubey flying over a cityscape in the night. this is me learning how to put context with characters. they should make a kyubey scarf! !